A lot of people confuse normal hair conditioning after a shampoo with a hair conditioning treatment. Although they are both considered conditioners, each one serves a different purpose. A hair conditioner applied on freshly shampooed hair and rinsed off is commonly used to make the hair easier to detangle and to provide a protective layer on the hair that will minimize damage. However, a conditioning treatment offers these benefits and more. All hair types can benefit from conditioner, but it is especially important to use conditioner on dry hair and/or damaged hair after a shampoo. The conditioner will help your hair look as healthy as possible. Why Use A Hair Conditioning Treatment? Conditioning treatments are created to go further into the hair shaft than normal conditioners. These treatments smooth cuticles that are raised and prevent the appearance of frizzy and dry hair. The hair will appear silky and moisturized instead. Normal conditioners work on the surface, while conditioning treatments work to repair damaged hair. Many people believe the myth that deep conditioning treatments will prevent further damage. However, this is not true. If your hair has severe damage, the best option is to cut off your damaged tresses and ensure your hair is cared for properly in the future so it will not become damaged again. Why Does Hair Become Damaged? Fortunately, the solution is simple. Avoid anything that can damage your hair and always make sure that the moisture that is loss in the hair is replaced by with a high quality conditioner. If you want to maximize your hair’s health with a hair conditioning treatment, schedule an appointment with a professional hair stylist. 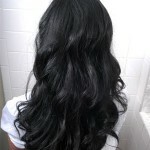 The stylist will have the knowledge necessary to apply the treatment that will be the most beneficial for your hair. Are your tresses looking dull and lifeless? Schedule an appointment with Diana Pagan and get your locks transformed into a beautiful and shiny mane. Enjoy the best salon services in the Atlanta area by contacting her today.